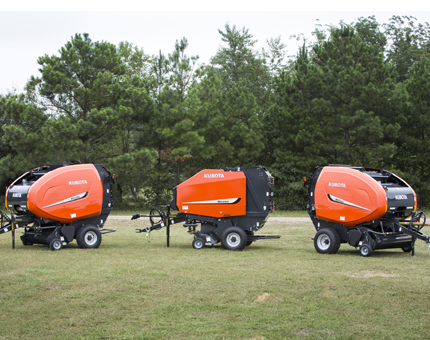 Kubota Balers & Implements | Rucker Equipment Co.
Kubota's baler factory is one of the most modern baler manufacturing sites in the world. The production facility has more than 30 years of baler manufacturing experience. A new modern factory was opened in 1999 to streamline production and comply with LEAN principles. 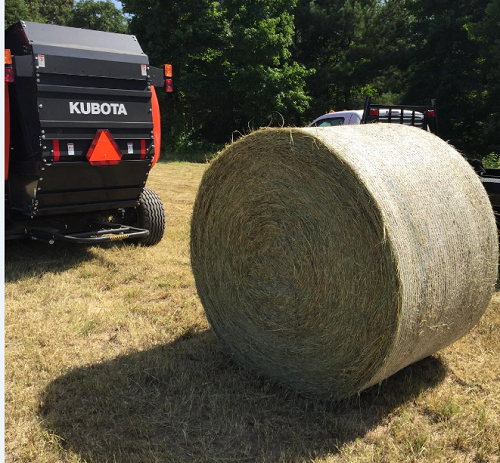 Call 903-729-6951 or email Rucker today with questions or comments about the Kubota BV Series Balers or any of the implement products we carry. Introducing the BV4160 Economy variable chamber, Kubota round baler, designed to craft dense bales with moderate cores and tight outer layers. This model packs a bale diameter of 4' wide by 5' high with a 67" pickup capacity. Plus, a new twine binding system ensures trouble-free and reliable operation bale after bale. Introducing Kubota's BV5160 SC-14, featuring a variable bale size of 4' wide by 5' high with an 86" wide pickup capacity for fast and efficient pickup. An Intelligent Hay Density system allows you to pre-select between three different bale densities right from the tractor cab, and that's just the beginning! Fist roll out of Kubota BV 4160 baler. July, 2015. Elkhart, Texas.